We grow up and we’re not always so cute. We still need your love even when we’re old and especially when we’re ill. Please don’t make us sad. 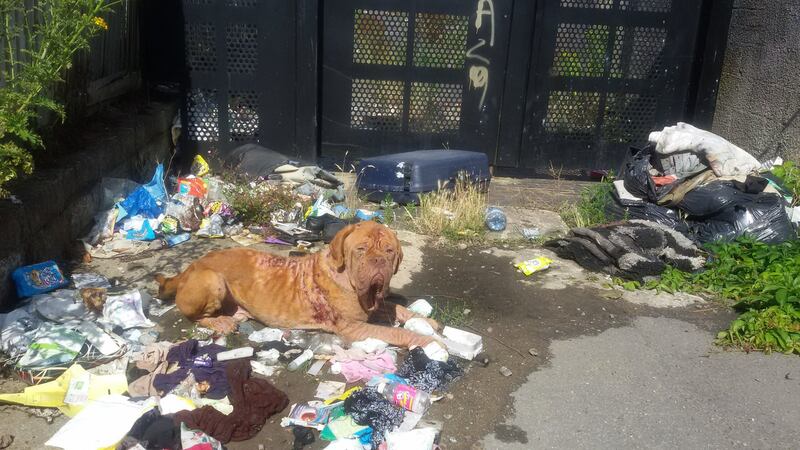 This Dogue de Bordeaux was abandoned like an old shoe on Capel Crescent Pillgwenlly, Newport. He has a really bad case of mange, along with raw patches of infected skin. His eye’s are also infected, he’s underweight. The police have been involved and the RSPCA. There had been a lot of angry people who threatened to “attack” the owner who left him – so it got a little overheated. Since the eruption we have not been able to find out any more about him since yesterday. We hope he’s ok and being treated – and put up for rehoming when he’s better. May’s comment: Dogs can bring out the best in us but humans sometimes abuse their position of responsibility for them. P.s. Hey! 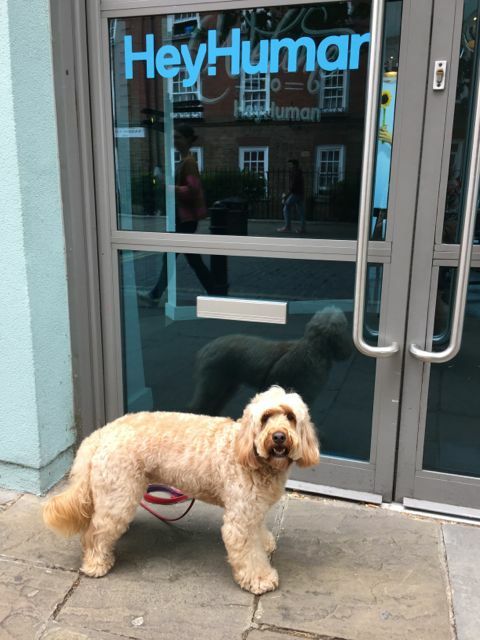 Human – a creative agency in London has nothing to do with dogs – just thought it was a cute sign. I hope he would find a loving home! Why are people so irresponsible! Please May, will you let us know if and when you find out any more. This makes my blood just boil. And especially when he still trusted humans to help him. Dogs are so forgiving. those owners are …… I can’t say it here, I am so upset.